These are the guidelines to unroot Samsung Galaxy S4 GT-I9505 smartphones. You must have root access on the device before the unrooting guide becomes of any use to you. The unrooting guides for Samsung devices are also handy for flashing a stock ROM if you are wanting to downgrade the device to the stock ROM. Understand that when you do that, you will be losing the root access and any custom ROM you may have had installed. The following is prepared for the Samsung Galaxy S4 smartphone with the model number GT-I9505. 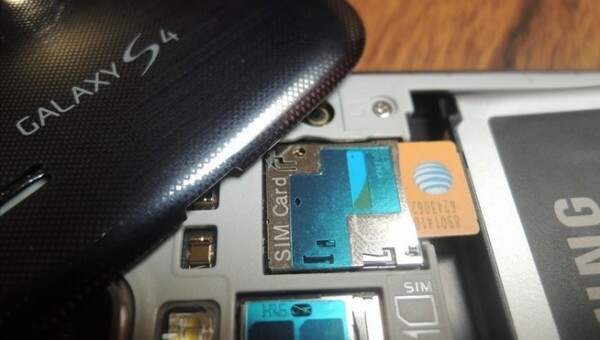 Each Samsung Galaxy S4 smartphone from a unique phone carrier network has its own unique model number. Likewise, the SIM unlocked versions come with a unique model number too. You can check your devices model number by pointing to the Menu > Settings > About Device menu. You must following this guide for unrooting the Samsung Galaxy S4 smartphone using a Windows PC. It can be running any version of Windows from Windows XP and up. Download the Samsung USB Drivers from our USB Driver page . You can use the universal ADB driver also found on the same page by ClockworkMod if you want to try something different. Additionally, you can install Samsung Kies on your computer and install the drivers that way. Returning a Samsung device back to the stock ROM does bring back the warranty unless your device comes with Samsung Knox security. Download the stock ROM for the Samsung galaxy S4 from this Sam Mobile page here . – you’ll need to sign into a Sam Mobile account to download the stock ROM file to your computer so you can install that firmware. Download the Odin flashing tool from here . Download the latest version and if that doesn’t work, try downloading the version before it. Extract both of the files on your desktop by moving them to the desktop and the right’clicking on the files and choosing the “extract here” option. Double-click and run the Odin executable file on the desktop so that the Odin user interface opens on the desktop. Put your Samsung Galaxy S4 device in Odin down load mode by turning it off and then rebooting by holding the Volume Down + Home + Power keys. Connect the device to the computer once you are in the download mode. Click the PDA/AP button found in the Odin user-interface on the computer. Browse the desktop for your stock ROM file. You must’ve extracted the package first or it won’t work. Leave the rest of the settings as they are by default in the Odin user-interface. They include the Auto reboot and f reset Time options on and the re-partition box empty. Click the Start button when you are ready and give to 10-15 minutes for the stock ROM to complete installing on your device. Look at the display and when you see the pass message in the Odin message box you know it is complete. Furthermore, your device should automatically reboot since you did have the Auto reboot box turned on.